October last year I had the great pleasure and honour of being my lovely cousin’s bridesmaid. It was a beautiful day and with great little details, my cousin and her husband had put a lot of thought into. My cousin’s groom had to keep reminding her that it wasn’t a food festival she was planning but a wedding! It is fair to say the food we had was utterly amazing. Seared scallops, fillet of beef, vodka palate cleansing sorbets, a trio of puddings and mini fish and chips… the list goes on! In fact when we went bridesmaid dress shopping in London with my two other cousins, who were also bridesmaids, it turned into quite a foodie tour. We had cupcakes at Hummingbird Bakery in Notting Hill, lunch at the Electric Theatre in Notting Hill and then afternoon cake and milkshakes at Choccywoccydoodah on Carnaby Street. Perfect day and a very serious sugar high! Once my cousin had come back from her honeymoon and Christmas was out of the way, all the bridesmaids arranged another sugar-fueled day in London. 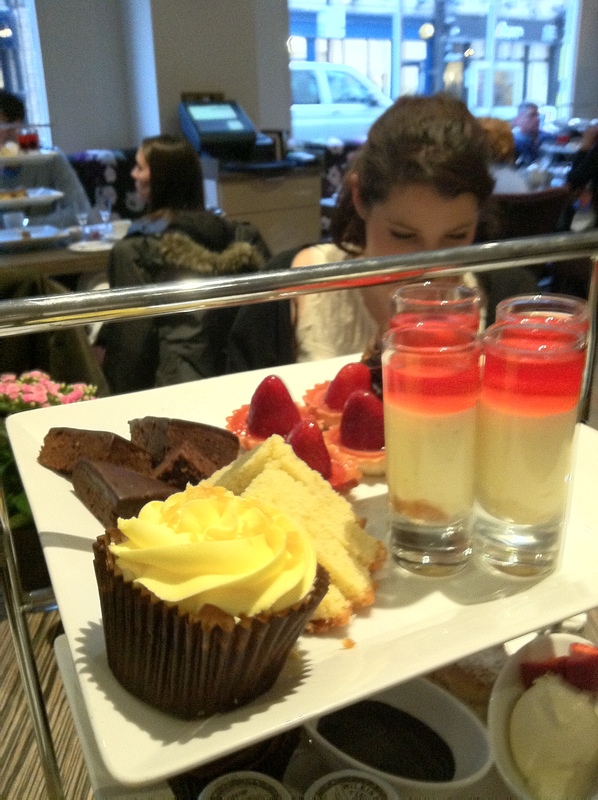 As two of my cousins are into theatre and musicals, I tried to find a place for afternoon tea in the theatre district. Currently, the musical of the amazing Roald Dahl story of Matilda is rocking out and the Radisson hotel near the theatre was doing a Stupendous Afternoon Tea in its honour. 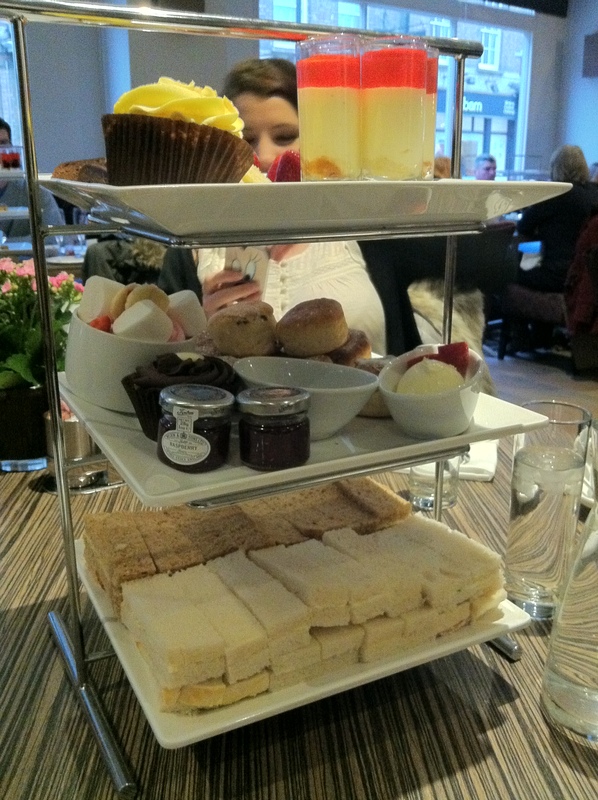 I’ve never had afternoon tea like it! 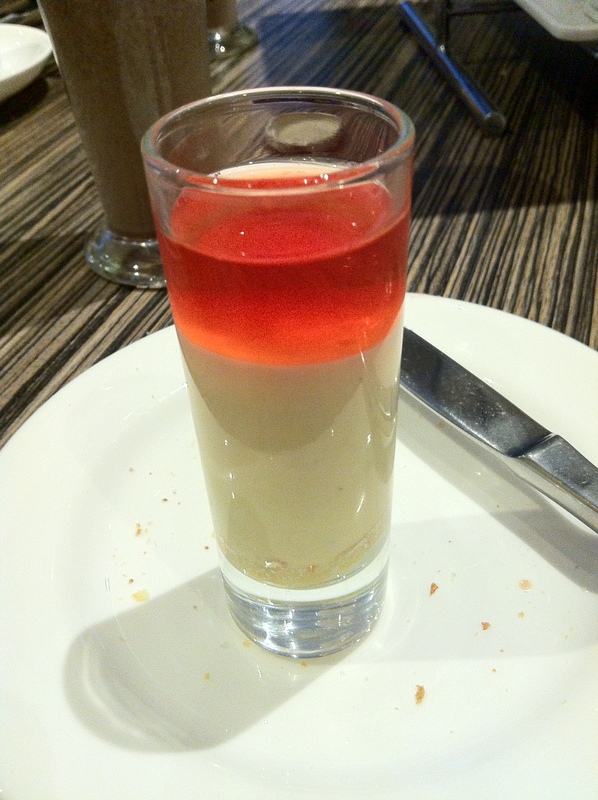 There were so many treats for us to try- drum roll, please……. Check this all this out! 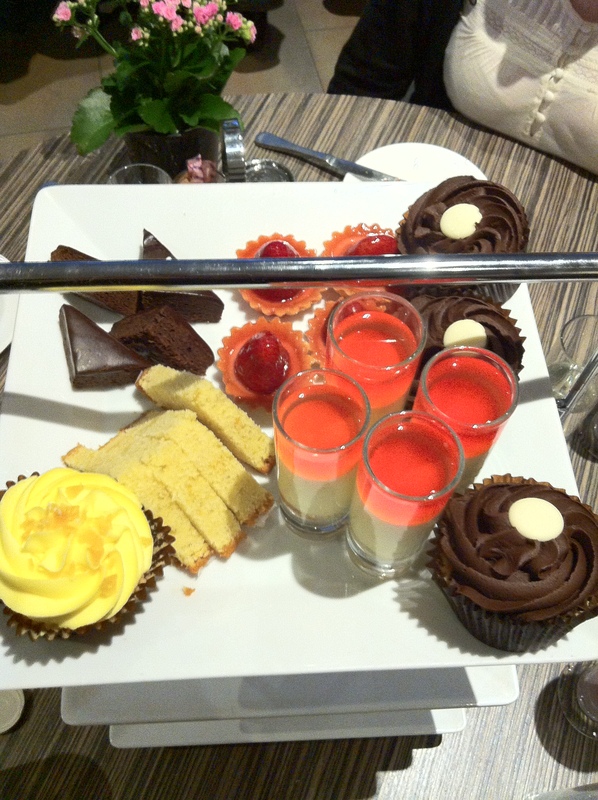 – Chocolate Cupcakes, Chocolate Brownies, Lemon Drizzle Cake and Strawberry Tarts. 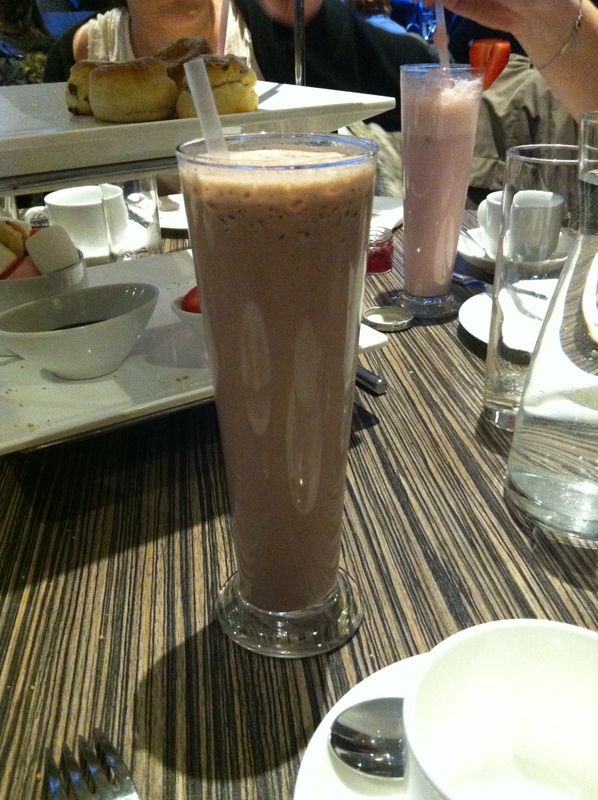 And all topped up with a huge chocolate milkshake! Felt like a little kid again! It was all delicious and had a wonderful time! We’re now planning a cupcake, afternoon tea tour again soon, so any recommendations of places we should try, please drop me a line!